Mr. Michael Teare is the percussion and guitar teacher at Lincoln-Way East High School. He currently teaches two levels of percussion techniques, three levels of class guitar and has previously taught courses in piano, music technology, and concert band. In addition to teaching at Lincoln-Way District 210, Mr. Teare has also taught or written/arranged marching percussion music for Joliet West High School, Brother Rice High School, Manhattan Junior High School, Maui High School, and Providence Catholic High School. Mr. Teare is originally from Frankfort, Illinois, and graduated from Elmhurst College in 2002 with a degree in Music Education. While at Elmhurst, Michael served as percussion section leader and student conductor of the Wind Ensemble. Shortly after graduation, he accepted a temporary adjunct faculty position as a percussion instructor at the college before coming to the Lincoln-Way Community High School District #210. During his time in the Lincoln-Way East High School Music Programs, Mr. Teare has completed graduate credit coursework in Music Education at Northwestern University as well as earned a Masters Degree in School Leadership at Concordia University. Mr. Teare enjoys performing with several classic rock bands throughout the area. Dr. Bert Johnson Is the Music Department Chair and an instrumental music teacher at Lincoln-Way East High School in Frankfort, IL. His departmental responsibilities include curricular, instructional, operational and financial oversight of the Lincoln-Way East High School Music Programs. He is the public relations liaison for more than one hundred performance and events each year in coordination with the Lincoln-Way East Music Department, Lincoln-Way East Music Boosters and the Lincoln-Way High School District 210. He is additionally responsible for implementing the music department curriculum in tandem with instructional coaching for the music faculty. His curricular teaching responsibilities include conducting the Honors Wind Ensemble, Brass and Woodwind Ensembles respectively. His extracurricular teaching responsibilities include directing the Lincoln-Way District Marching Band the Griffin Football Band and over seeing all departmental extracurricular operations. Prior to his return to Lincoln-Way East in 2012, Dr. Johnson was responsible for implementing the planning and opening of the Lincoln-Way North High School Music Program also located in Frankfort, IL. He penned the fight song for Lincoln-Way North High School entitled "Phoenix Rising" and led the department as Chair from its inception in 2008 until 2012. 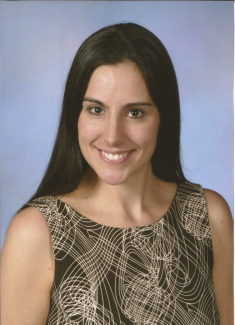 During the 2011-12 school year, Dr. Johnson was named the interim district department chair for the Lincoln-Way East and Lincoln-Way North High School Music Programs. Dr. Johnson's pedigree in music began as a trumpet performer studying under the guidance of Mr. Charles Duval, Mr. William Lucas, and as a regular brass student of the late Mr. Arnold Jacobs, former principal tubist for the Chicago Symphony Orchestra. Collegiately, Dr. Johnson was a former lead trumpet for the University of Michigan Jazz Ensemble under the direction of Ellen Rowe and was a member of the exclusive Disneyland All-American College Band in 1997 under the direction of Art Bartner. Professionally, Dr, Johnson was a member of the legendary "Futurecorps" from EPCOT in the Walt Disney World resort and is a proud alumnus of the Santa Clara Vanguard Drum and Bugle Corps from Santa Clara, CA. Dr, Johnson is a member of the National Association for Music Education (NAFME), Illinois Music Education Association (ILMEA), The jazz educators network (JEN) and the Illinois Association of School Administrators (IASA). He has served as Jazz Division Chair for the ILMEA District 1 schools and is member of the advisory council for the Music Educators Development Division (MEDD) for ILMEA, Dr. Johnson is a regular presenter for ILMEA and most recently presented at the NAFME national conference regarding "evaluation and accountability in the music classroom". 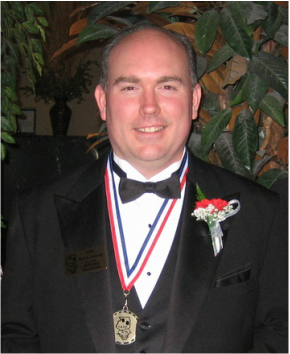 Dr. Johnson has twice been selected as a Golden Apple Nominee and has received the Illinois Jaycees award for the the "Top Ten Outstanding Young People of Illinois" in 2007. He holds the following degrees: B.M. Music Education '99, Univ. of Michigan; M.A Educational Administration '07, Gov. State Univ. ; and completed an Ed.D in Educational Leadership And Policy at Loyola University Chicago in 2015. He also holds an both a Principal's and Superintendent's License for the State of Illinois. Dr. Johnson resides in Frankfort, IL with his wife Erika and daughters Ellery Alice Claire and Britton Matilda Kate.